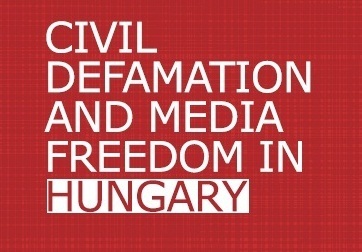 Hungarian courts’ doctrine of objective liability for media outlets quoting third parties presents a significant obstacle to the coverage of political affairs, a new study on civil defamation practice in Hungary has found. According to the study, released today by the International Press Institute (IPI), journalists in Hungary who quote or use information from a third party that later turns out to be false bear full legal liability “even if the information is transmitted only once, irrespective of good faith and absence of culpability”. Troublingly, this “lawnmower approach”, which appears to clash with European Court of Human Rights (ECtHR) jurisprudence, extends to media coverage of public statements by politicians, including those made during parliamentary debates. A media house that faithfully reports on accusations raised by MPs on matters of public interest, for example, could be ordered to compensate damage to reputation or other rights caused by those accusations. Written by Hungarian media lawyer Bea Bodrogi, the study analysed 250 court decisions related to civil protection of ‘personality rights’, an area in Hungarian law that includes defamation, privacy and personal image. It also reflects interviews with in-house counsel at three media outlets and one judge. • Despite a key 2014 Constitutional Court ruling underscoring freedom of political speech and the right to criticise the activities of public officials, case law in this area remains uneven, especially with regards to the definition of public affairs and the scope of the liability of the press. • Assessment of the liability of media outlets varies widely among courts, with the highest court (Kúria) applying the strictest standards of objective liability for third-party information. • Courts are divided with regards to the quantification of restitution, primarily with regards to the minimum amount that can be awarded. The study found that damage awards in defamation and other similar ‘personality rights’ typically range between 100,000 and 1,000,000 HUF (325 to 3245 euros). Additionally, the study details changes to Hungarian civil defamation law resulting from the adoption of a new Civil Code in 2014. Most prominently, the new Civil Code replaced the institution of non-pecuniary damages with restitution. To claim restitution, a plaintiff no longer needs to prove that he or she actually suffered damage as a result of defamation or other unlawful conduct; the existence of the conduct alone is considered sufficient to justify monetary compensation. Amid the country’s general backslide in protections for freedom of expression, Hungarian politicians are increasingly turning to the courts – both civil and criminal – in response to criticism expressed by media and individual citizens alike. While international principles on freedom of expression largely reject the use of criminal sanctions in defamation cases, disproportionate civil verdicts are also capable of casting a chilling effect on the free flow of news and information. The present study profiles notable recent civil defamation cases against media houses, including several against the popular news portal Index.hu. In one case, Index.hu was forced to pay a former Constitutional Court judge, László Kiss, 800,000 (2,595 euros) in relation to coverage of a ECtHR decision not in the judge’s favour. In another, a court of second instance ordered the site to pay 600,000 HUF (1,945 euros, later reduced on further appeal) to former President János Áder after it reported on comments made by a writer claiming that Áder had previously spent time in prison. László Bodolai, in-house counsel for Index.hu, underscored the study’s findings related to the dissemination of information on third parties, describing this practice as having “the most negative impact on the press”. Hungarian courts’ approach in such cases, Bodolai told IPI, “makes it practically impossible to publish political statements”. Read the full study here. Learn more about IPI’s work on defamation laws here.